Strength training is an extremely important part of any fitness routine. According to the American College for Sports Medicine, functional fitness is defined as using strength training to improve balance, coordination, force, power and endurance to enhance someone’s ability to perform activities of daily living. Functional strength training can provide multiple benefits for a wide range of people of all fitness levels. Thanks to the advances of technology and engineering, there are plenty of premium fitness equipment options to assist with functional strength training. As a health club owner, manager or personal trainer, your goal should be focused on providing a fitness facility where members can come and accomplish any of their fitness goals on a variety of equipment. Today, many strength training pieces mimic daily movements and can be used to help enhance other areas of training. Getting members and clients to understand that strength training helps prevent the age-related decline of muscle mass, keeps your bones and heart healthy and helps prevent pain and injury during everyday activities will encourage them to use strength training equipment in their workout regimen. Each machine in the Composite Strength is designed with TRUE’s Composite Motion® Technology. This technology provides the integration of functional exercises using controlled movement patterns for a safer and more effective workout experience. Thanks to the simultaneous working of the upper, lower, and core muscle groups, club members can burn more calories and strengthen more muscles in less time. Functional strength exercises tend to be complex and multi-joint, so some users might struggle with the balance and coordination required in functional strength training. Thankfully, these machines will assist any type of user by design. Even if a club member is new to strength training or a seasoned gym-goer, the Full Body Press will provide anyone an intense workout. Members can achieve total body engagement and high calorie burning by simply incorporating the Full Body Press or any Composite Strength piece within their workout regimen whether it be a HIIT circuit or regular weight training session. The design and smooth motion makes it a piece that can be implemented into any workout program and number of interval or HIIT programming principles. In many instances, facilities that have any of the Composite Strength machines, especially the TRUE Full Body Press, have realized that it can target many different areas of the body depending on its use. 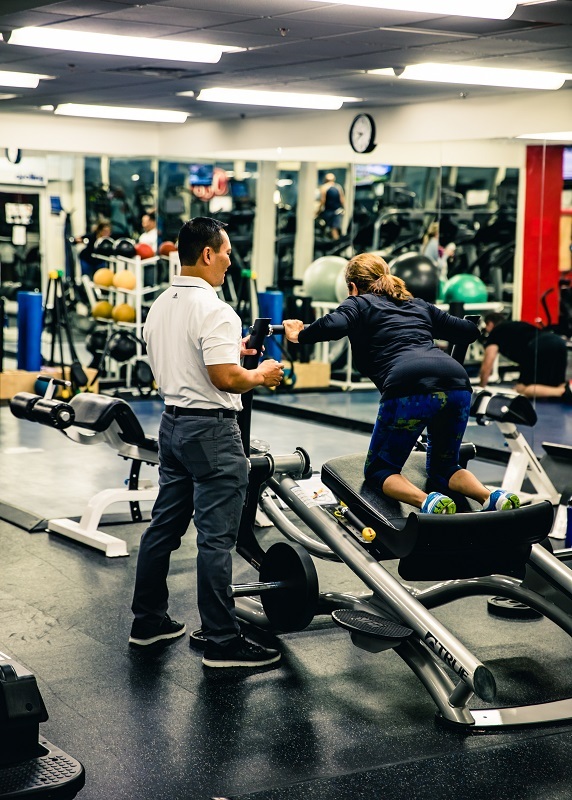 Whether you focus on personal training, group training classes or have one-on-one clients that trainers are working with, users can be coached on the machines to put an emphasis on different areas of the body dependent on the individual’s goals. Functional training continues to be a strong fitness trend that will continue for years to come. Users of all ages are looking to functional training to feel strong and capable in the sport called life. The premium TRUE Composite Strength line can safely and effective provide gym members a way to add functional training to any fitness program. Want To Integrate Functional Strength Into Your Gym?